WomenatthecentrE hosts a training program, completed either on our online system or at a community centre partner, to help women survivors understand the intricacies of abuse. 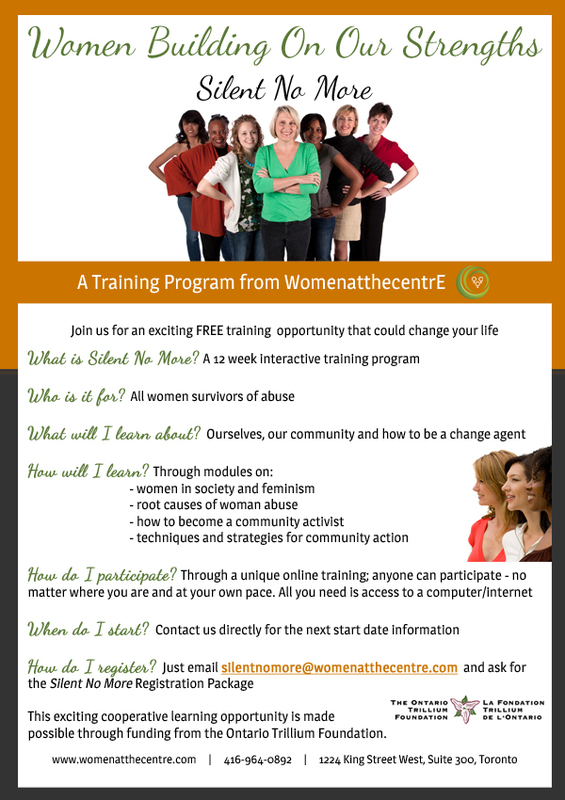 The program is open to women survivors of abuse, as well as all of our WomenatthecentrE members. Many thanks to the Ontario Trillium Foundation for funding this program. Community centres who would like to offer Silent No More to their women survivor guests can access the printable version of the workbooks.